Roof Time, Inc. specializes in roof repairs that can help prevent wood rot. We offer expert wood rot repair and roof repair services throughout the Twin Cities area. Contact us for a free repair estimate. Most of the strategies for fighting dry rot throughout the house begin with your roof. If your roof is not sound and your gutters are clogged or misaligned, tremendous amounts of water can enter your home and saturate the ground around your foundation (which can also allow water to seep into your home). 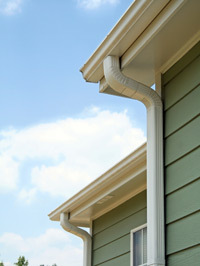 So, the first rule of home care is to make sure your roof is leak-free and in good repair. As a leading roofing contractor in Twin Cities, we offer comprehensive roofing services, including a variety of roof repairs to help you maintain your roof’s condition. 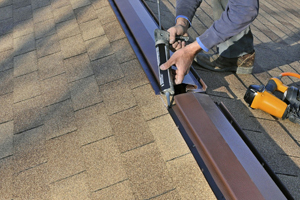 Roof Time, Inc. also understands that the roof is more than a barrier to rain and snow. It is also where your home exhales! A properly vented roof also expels much of the water vapor that builds up in the home and plays an important role in keeping the moisture content in building materials to safe levels. Looking for an effective solution to wood rot in Minnesota? Reach out to us by phone or send us an email to schedule a free roof repair estimate in Minneapolis, St. Paul, Eden Prairie and nearby. We are one of Minnesota’s finest roofers, maintaining a solid reputation and providing only the best services and products.